I started out with a novel from an author I've actually met before. The Hourglass Door, by Lisa Mangum. I'd heard so many good things about this book, I couldn't wait to dig in. Plus, I wanted to do my research on popular time travel novels and this felt like a good place to start. That being said, I didn't enjoy it as much as I thought I would. I have really hard time reading 1st person past tense novels becasue my mind changes the words to present tense. It's just my opinion, but if you're writing in 1st person it should be present tense. The other thing was the clear lack of time travel. Yes, one of the MC's travels through time, but I really wouldn't classify the book as time travel. I think I was so hyped about reading it that I just got disappointed. That being said, I still really liked the male MC. 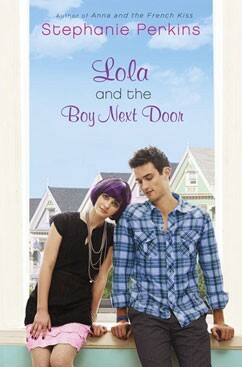 I had Lola and the Boy Next Door on hold at the library and it finally came in this month. I really liked Anna and the French Kiss so I expected to like this book too, and I wasn't let down. I love the quirky Lola and the style conscious Cricket. A very cute and fun read! This was another time travel novel that was hyped about, so I was way excited to read it. 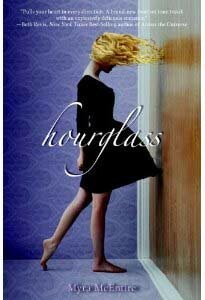 Hourglass by Myra McEntire is another 1st person past tense novel that had only a drop of time travel in it. The MC really bothered me in this book. She was so antsy and afraid of everything. They didn't travel through time until the end of the story because 300 pages just had to be devoted to telling us how the time travel was possible. 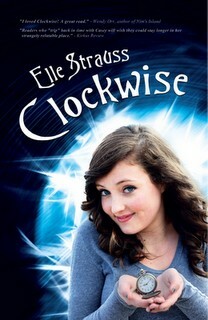 Last, but not least, I read Clockwise by Elle Strauss. I've been following her blog for a while, wanting to read her book, but a little afraid to take the leap. The other day she was giving it away for free so I decided it was now or never and downloaded a copy. I was reading another book, but I thought I'd take a quick peek at the first chapter. The time travel was awesome, the characters were so well rounded (and likable) and the story had me biting my nails. It really killed me to have to wait until my next paycheck to buy the 2nd book. It was the best book I read this month, hands down. That's it for the month of May. What was your favorite read last month? For links to the images, please check out my Pinterest Page. Not sure I could wait 300 pages for the time travel - what happened to sucking the reader in from the start? oh good! clockwise is going on the tbr list! i love your reviews! you seem to be on my page of reading likes! & dislikes. thanks! I'm so sad you didn't like Hourglass, I really want to read it.. :( I haven't been able to read any of Stephanie Perkins, but I can't wait to. I met her at LeakyCon last summer, and she was amazing! Since the comments are posted automatically I'm not sure you read them all--hopefully, but I really wanted to get you this response to your June 1st blog post. The fact that someone didn't like her is a good thing. If you created a character that everyone liked, she'd be a boring wimp and probably not a good MC. The false smiles and "She's so sweet" would make my teeth ache. Better, this reader disliked your MC well enough to tell you about it! Wow! Not ambivalent, not wishy-washy. This is a memorable character! Don't give up on her, and don't change her! Man, I'm relieved I'm not the only one who didn't connect with Hourglass. I couldn't finish it. Maybe someday I'll pick it up and try again, but for now...meh. Oooo, I have a couple of those but haven't had a chance to read them yet. Now I want to even more! 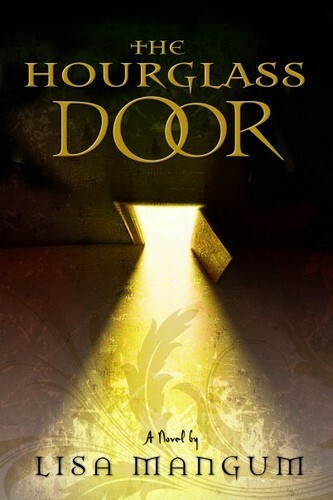 I thought the Hourglass Door was great, but I read it several years ago. Spiral was good. The Golden Locket was OK. I didn't know Hourglass was about time travel--but 300 pages until it happens? That does seem like a long time, book-wise. I liked Hourglass and Clockwise. I need to read Clockwiser! I picked up Clockwise last week, too. Glad to see you gave it a good review. Thanks! I don't like first person or present tense as a general rule, but present tense trumps first person in the "I can't read this" category. That said, seems like we've both been reading a couple duds recently. Hi J.A., first time visitor and great to meet you! Good like with your reading goal. That;s ambitious. I average about two books a month. I love meeting about books and authors and getting a little insider review! I read SHATTER ME by Tahereh Mafi last weekend and super enjoyed it. Great reviews- Was stopping by from Insecure writers support group. Love you blog- new follower. Thanks. I needed some new suggestions to put on my list. Anybody know some good, clean ones in the national market on audio? I read the Hourglass Door awhile ago and I really enjoyed it! But I hadn't heard about it at all, my mom just gave it to me to read without saying much about it. I've been wanting to read the sequel, I just haven't gotten around to doing it. Interesting that you feel first person should be in present tense. I've never been a fan of present tense, but I can see why that would make sense. Actually, one of my favorite books, Boy Meets Boy, was first person present tense. I will definitely check out Clockwise. Thanks for the reviews. Really want to read Clockwise soon. I haven't read many 'time travel as theme' books, might've more to do with films exploring the same subject but coming up short with their treatment. I suppose I'll try some now after reading your reviews. 1st person past tense can be tricky, unless it's intertwined with present tense. I believe it's more to do with the skill of the author than anything else. Some handle it better, or maybe the subject matter lends it better for 1st person past tense. Thanks for your input on these books. I've wondered about Hourglass - it's got a great cover.